2829 South 148th Ave Cir. Ideal for storing personal items, small furniture, or business records. Ideal for storing personal items or small furniture. Ideal for storing a typical 1 bedroom apartment. Ideal for storing a typical 2 bedroom apartment or house. Ideal for storing a larger 3 or 4 bedroom house. Ideal for storing a 4 to 5 bedroom house. Continuing to serve Omaha and all of Douglas County, new management brings a fresh commitment to clean, affordable self storage for our many neighboring communities from Elkhorn to Papillion and from Boystown to Millard. Center Street Self Storage is conveniently located minutes from the Oak View Mall and its proximity to I- 80 and I-680, directly off US-275/NE-92/W Center Rd. Our central location is poised to serve the many homes and businesses nearby, offering a wide range of storage units and parking spaces for both personal and commercial storage. We are happy to continue a tradition of affordable storage with superior service to our neighbors at University of Nebraska – Omaha, University of Nebraska Medical Center, Creighton University, and Offutt Air Force Base. Through our licensed, bonded, and insured transport partners, Center Street Self Storage can facilitate the local, regional, and national transportation of our clients' goods as needed. Our transport partners are highly trained and experienced in the handling and transportation of home furnishings, inventory, and fine objects. Our transport partners offer Special Multi-Peril Insurance coverage for any objects transported. Our many features and amenities ensure that you will find exactly the storage space you need for your home, business, or vehicle at Center Street Self Storage in Omaha. Ground level units can be rented in a wide range of sizes for both long and short term storage and guarantee easy access for loading in and out. You’ll find all the moving and storage supplies you need on site, and we provide friendly storage experts for consultation and guidance. 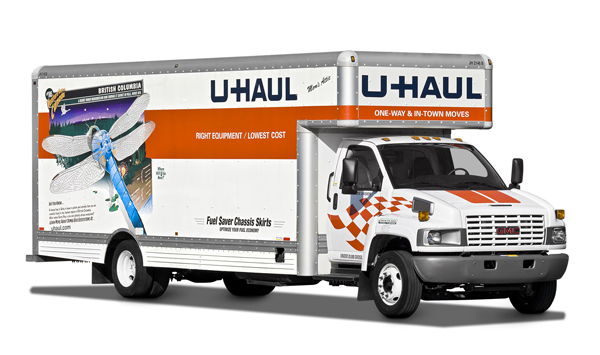 Center Street Self Storage is also a licensed U-Haul dealer, so even your truck is here and waiting for you. Visit us today, and see how Center Street Self Storage can get your moving and storage adventure on the right track. Visit our Available Units page to reserve your Omaha storage unit today! 2805 S. 148 Ave Circle.